Denominations are a quirky thing. At their best, these structures are a faithful way to make order out of chaos for the sake of the gospel. At their worst, they are clunky, oppressive, and debilitating. 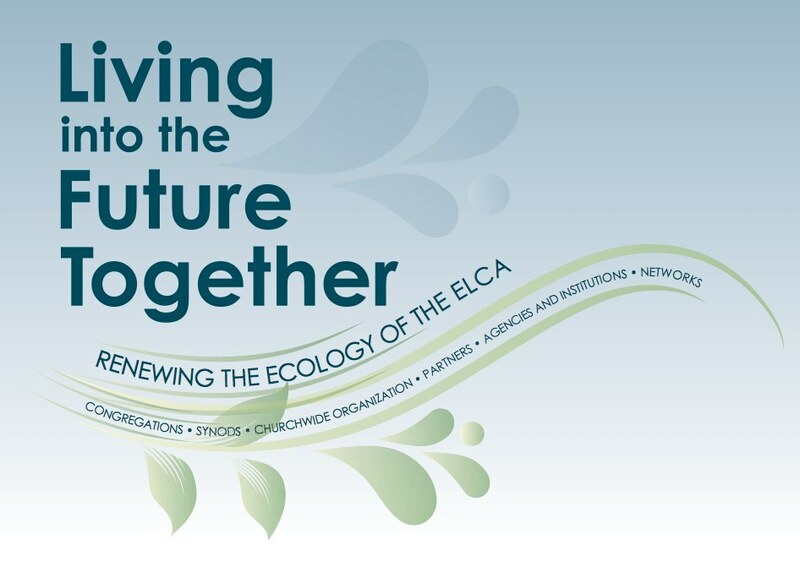 It was with this in mind that I agreed 16 months ago to serve on an ELCA task force called Living Into the Future Together (LIFT): Renewing the Ecology of the ELCA. I was fascinated to see the many ways in which this particular denomination tries to navigate the turbulent waters of the post-institutional 21st century. As the junior member of the task force, this experience was an eye-opening discovery of the inner-workings of the largest Lutheran denomination in the world; it was a process that was equal parts frustrating and inspiring. What is God calling us to be and do in the future? What changes are needed to accomplish these tasks most faithfully? 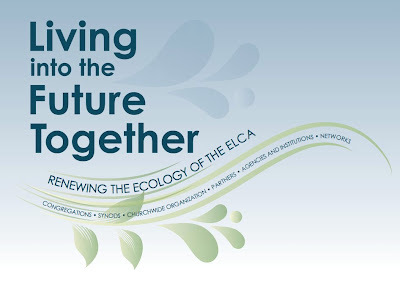 This document now belongs to the ELCA Church Council and will be presented to the 2011 Churchwide Assembly this summer in Orlando. One of the key findings in our research is the gap between clergy and lay leaders on what the priorities of the church should be. This tension will likely play out in how the final report and recommendations are received. I'm sure many key leaders in the denomination (bishops, educators, churchwide staff, pastors, etc.) will give careful scrutiny to the document. I will be interested to see how many "average pew-sitters" will take time to read it. Jake Bouma and I recently had the opportunity to share a presentation called "Media ~ Medium ~ Message" at the Day of Renewal for rostered leaders in the Northeastern Iowa Synod. We are grateful for the warm reception we received from this group of ELCA pastors. You've probably noticed the rapid rate of change in society. Right or wrong, this impacts our ministries in significant ways. The Internet is altering human behavior like nothing since the printing press. The fastest growing faith group is those who are "spiritual but not religious." Where is the church in all of this? What is our witness to the world? What is God calling us to be and do in the future? What changes are needed in order to make God's call a reality? We will explore these questions and offer thoughts about relational ministry, social media, and the future of Lutheran ecclesiology with a post-modern spin. Additionally, we had fun showing these two video clips during the intermission. This was a great experience for us; one we look forward to replicating in other settings the months to come. Chuck Klosterman was on Bill Simmons' podcast earlier this week talking about the greatest game ever invented - basketball. About an hour into the conversation, their attention shifted to marketing professional teams and how management styles will need to change based on the impending NBA lock-out. In classic Klosterman fashion, he takes a topic and offers an obscure analysis that ends up making total sense to me. I feel like the problem with sports leagues is the idea that they need to expand their fan base to people who don’t really like the sport. The idea that somehow watching a basketball game isn’t interesting enough for a lot of people. If we’re going to have a real wide audience, we need to appeal to people who don’t like the game. And any time any product tries that – whether it’s basketball, music, film, religion – when the idea becomes that for this to be successful we need to appeal to people who don’t really care, it gets worse. The NBA is too concerned with people who don’t really like pro basketball. When people freaked out when Jordan retired the 2nd time, and there was this idea that there was no interest in the league, and that ratings are down, and all these things. And it was because the people they were losing were not people who liked basketball, they liked Michael Jordan – the persona of this guy. I wish leagues were less interested in people who are uninterested in the league. Naturally, my ears perked up when Klosterman inserted religion to a conversation about basketball. He's clearly annoyed with organizations that go out of their way to attract people that wouldn't otherwise be interested. Frankly, I'm kind of annoyed with the need of our churches to create new programs, gimmicks, or hooks to get erstwhile disinterested people to show up. The fundamental question worth asking is, "should churches bother reaching out to people who don't want to be there in the first place?" Is marketing the same as evangelism and outreach? What would happen if our churches stopped employing "attractional" models of ministry and focused on a basic, stripped-down, rudimentary expression of our theology and doctrine. Would that be too stale or boring? Do we need to offer high-tech worship services, quality programs, and modern facilities reach out to new people for the sake of the gospel?